It comes to no one’s surprise that Florida and Chicago have very different climates. Not only are there seasons, but there are four of them! This can be a bit jarring for many students used to warmer weather, but it’s absolutely worth it to see that first snowfall. The winter turns Northwestern and the Evanston area into a magical place, and here are some tips for making that seasonal adjustment! Layer, layer, layer. The easiest way to adapt your summer wardrobe for the winter is to just wear more of it! You’d be surprised how much warmer you’ll feel with another shirt or a long-sleeved pullover in addition to the traditional winter holdouts. The bonus of layering is that it makes it easier to cool down when you go from 12º F outside to 72º F inside! Invest in a good jacket. A good jacket makes all the difference when it comes to walking in the wind tunnel that forms between some of the STEM buildings! You’ll want to look for something that is both water-resistant and full of insulation. The more versatile, the better! The Student Enrichment Services office has options for low-income students, and a flexible option won’t necessarily break the bank. Definitely consult your native Chicago and midwestern friends for recommendations! Wind chill is real (and can be avoided!) As long as one of your outer layers has some windbreaking potential, you should be okay! Long underwear (or leggings) under jeans also serve to keep wind off your legs. My personal favorite for covering your face is a scarf and hat, but earmuffs and balaclavas are also very handy! Waterproof shoes are also a must. I’m not ashamed to say that I played in the snow for a few hours one weekend, and, boy did my feet get wet! Boots and shoes that are resistant to water are absolutely necessary for slushing through snow on your way to class. Inside shoes are your friend. On-campus housing will either have hard flooring or carpet, and to keep your room clean (and slush free!) you’ll probably want to leave the boots at the door. There are different kinds of snow. This one is probably obvious to students from similar climates, but it never occurred to me that not all snow is the same! The best snows are dry and fluffy (especially for Instagram pictures,) but if you want a snowball fight you’ll want a more wet snowfall! Moisturize. I learned the hard way that the air is a little drier than in my pseudo-tropical home state. Hand lotion and lip balm will keep your skin healthy! Have fun. The winter is quite possibly the prettiest season Northwestern has to offer. Go ice skating at Norris, have a snowball fight, drink lots of hot chocolate. Don’t let the lower temperature keep you from being active, staying involved, and enjoying the outdoors! Use Northwestern’s resources. 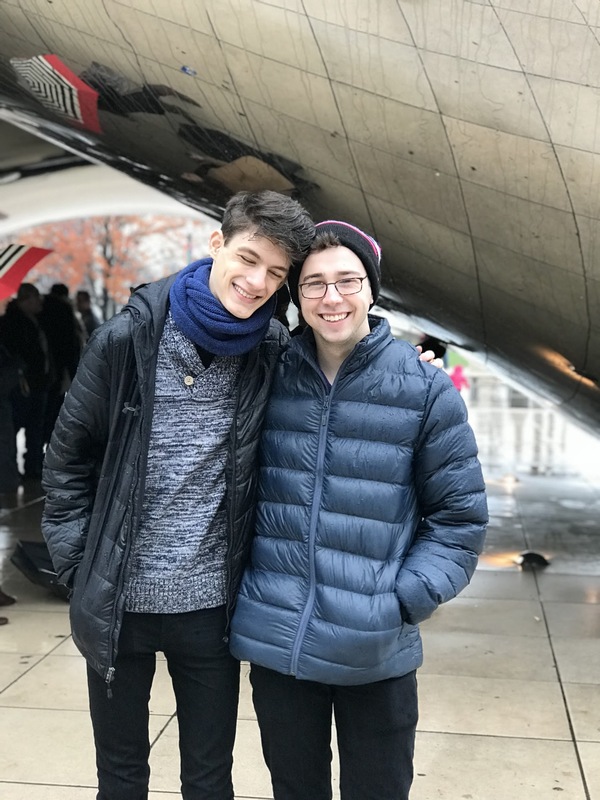 From the SES Winter Gear Program (gloves, coats, and boots) to the myriad of hot chocolate-themed events, Northwestern is a great place to spend the winter. You’ll come back from break with new classes, make new friends, and will enjoy all that the cold season has to offer!